Share a day on the farm with your co-workers! 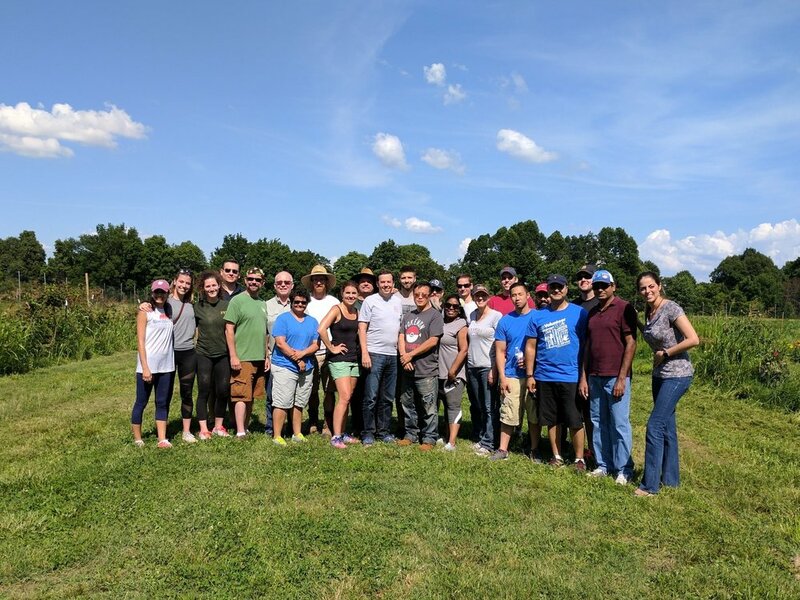 Cobblestone offers Corporate Team Building days that bring groups of co-workers together on our community farm to serve their community and increase group cohesion in the process. During Corporate Team Building Days, The Cobblestone staff will lead your group in team-building activities through agricultural work and a farm tour. Please fill out the Volunteer Waiver and bring this with you!